Chiang Mai (Mizzima) - The Burmese Ministry of Mines has awarded Max Myanmar Group of Companies, a domestic conglomerate owned by business tycoon Zaw Zaw, a contract to produce lime stone on the basis of an with agreement signed between the two sides on August 18. Headed by the Myanmar Football Federation President Zaw Zaw, the Max Myanmar Group of Companies has signed an agreement with the No (3) mining department of the Burmese Ministry of Mines to produce lime stone, according to a report in the state-run newspaper, New Light of Myanmar, report on Friday. The newspaper said the lime stone will be supplied as raw material for the cement factory to be built near the capital Naypyitaw’s Taungphilar region. The cement factory is expected to produce 50 tons of cement daily. The production contract was signed on August 18, at the meeting hall of the Ministry of Mines in Naypyitaw, the newspaper said. The contract signing ceremony was attended by the Minister for Mines Brig Gen Ohn Myint and Managing Director of the Max Myanmar Group of Companies Zaw Zaw and Director Ohn Kyaw. The 43-year-old business tycoon Zaw Zaw is the son-in-law of Thein Htut, who is also known as Pepsi Thein Htut because of his dealership of the Pepsi Co. which in 1997 withdrew its presence in Burma. The Max Myanmar Company has been awarded contracts in construction, hotel and tourism and gems and jewellery mining. 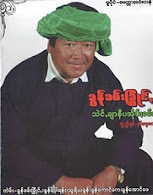 Zaw Zaw is also president of the MFF and the Myanmar Tennis Federation. His close rapport with the ruling military junta, has forced the United States to list him among individuals that the US has imposed sanctions on including restrictions in travelling to the US and freezing of his foreign assets.